Pearl White 2018 Ram 2500 Laramie Longhorn 4WD 6-Speed Automatic Cummins 6.7L I6 Turbodiesel Price includes: $750 - 2018 RAM HD Diesel Bonus Cash 39CJJ. Exp. 04/30/2019, $2,250 - 2018 Retail Consumer Cash 63CJ1. Exp. 04/30/2019 Price includes $865 of dealer added accessories. Red Clearcoat 2018 Jeep Wrangler Unlimited Sport S 4WD 8-Speed Automatic 3.6L 6-Cylinder ABS brakes, Compass, Electronic Stability Control, Low tire pressure warning, Traction control.Here at Steve Landers CDJR, we pride ourselves in a transparent and honest car buying and servicing experience; Our Best Price is clearly posted. Come experience a better way to buy your next car! Give us a call today to schedule a demonstration drive and get straight forward answers to your questions. Price includes: $500 - Freedom Days Bonus Cash 44CJA7. Exp. 04/30/2019 Price includes $535 of dealer added accessories. Bright White Clearcoat 2019 Ram 1500 Big Horn/Lone Star RWD 8-Speed Automatic HEMI 5.7L V8 Multi Displacement VVT ABS brakes, Compass, Electronic Stability Control, Heated door mirrors, Illuminated entry, Low tire pressure warning, Remote keyless entry, Traction control.Here at Steve Landers CDJR, we pride ourselves in a transparent and honest car buying and servicing experience; Our Best Price is clearly posted. Come experience a better way to buy your next car! Give us a call today to schedule a demonstration drive and get straight forward answers to your questions. Price includes: $500 - Southwest 2019 Retail Bonus Cash SWCKA1. Exp. 04/30/2019, $800 - National RAM LD Select Inventory Bonus Cash 40CKB. Exp. 04/30/2019, $500 - Chrysler Capital 2019 Bonus Cash **CK5 (CA,MA,SE,SW). Exp. 04/30/2019, $3,000 - 2019 Retail Consumer Cash 63CK1. Exp. 04/30/2019 Price includes $1,567 of dealer added accessories. Copper 2018 Chrysler Pacifica Hybrid Touring L FWD 1-Speed Automatic 3.6L V6Here at Steve Landers CDJR, we pride ourselves in a transparent and honest car buying and servicing experience; Our Best Price is clearly posted. Come experience a better way to buy your next car! Give us a call today to schedule a demonstration drive and get straight forward answers to your questions. Price includes: $1,000 - 2018 Retail Consumer Cash 63CJ1. Exp. 04/30/2019 Price includes $538 of dealer added accessories. 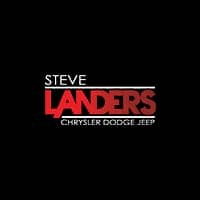 Molten Silver 2018 Chrysler Pacifica Hybrid Touring L FWD 1-Speed Automatic 3.6L V6Here at Steve Landers CDJR, we pride ourselves in a transparent and honest car buying and servicing experience; Our Best Price is clearly posted. Come experience a better way to buy your next car! Give us a call today to schedule a demonstration drive and get straight forward answers to your questions. Price includes: $1,000 - 2018 Retail Consumer Cash 63CJ1. Exp. 04/30/2019 Price includes $538 of dealer added accessories. Billet Silver Metallic 2018 Jeep Wrangler Unlimited Sport S 4WD 8-Speed Automatic 3.6L 6-Cylinder ABS brakes, Compass, Electronic Stability Control, Low tire pressure warning, Traction control.Here at Steve Landers CDJR, we pride ourselves in a transparent and honest car buying and servicing experience; Our Best Price is clearly posted. Come experience a better way to buy your next car! Give us a call today to schedule a demonstration drive and get straight forward answers to your questions. Price includes: $500 - Freedom Days Bonus Cash 44CJA7. Exp. 04/30/2019 Price includes $1,059 of dealer added accessories. True Blue Pearl 2018 Jeep Grand Cherokee Laredo RWD 8-Speed Automatic 3.6L V6 24V VVT19/26 City/Highway MPGHere at Steve Landers CDJR, we pride ourselves in a transparent and honest car buying and servicing experience; Our Best Price is clearly posted. Come experience a better way to buy your next car! Give us a call today to schedule a demonstration drive and get straight forward answers to your questions. Price includes: $500 - 2018 Retail Bonus Cash SWCJA1. Exp. 04/30/2019, $1,000 - 2018 Bonus Cash SWCJA. Exp. 04/30/2019, $500 - 2018 Chrysler Capital 2018 Bonus Cash **CJ5 (exclu. MW-NE-SE). Exp. 04/30/2019, $1,750 - 2018 Retail Consumer Cash 63CJ1. Exp. 04/30/2019 Price includes $392 of dealer added accessories. Velvet 2018 Jeep Grand Cherokee Laredo RWD 8-Speed Automatic 3.6L V6 24V VVT19/26 City/Highway MPGHere at Steve Landers CDJR, we pride ourselves in a transparent and honest car buying and servicing experience; Our Best Price is clearly posted. Come experience a better way to buy your next car! Give us a call today to schedule a demonstration drive and get straight forward answers to your questions. Price includes: $500 - 2018 Retail Bonus Cash SWCJA1. Exp. 04/30/2019, $1,000 - 2018 Bonus Cash SWCJA. Exp. 04/30/2019, $500 - 2018 Chrysler Capital 2018 Bonus Cash **CJ5 (exclu. MW-NE-SE). Exp. 04/30/2019, $1,750 - 2018 Retail Consumer Cash 63CJ1. Exp. 04/30/2019 Price includes $790 of dealer added accessories. Bright White Clearcoat 2018 Jeep Grand Cherokee Laredo RWD 8-Speed Automatic 3.6L V6 24V VVT19/26 City/Highway MPGHere at Steve Landers CDJR, we pride ourselves in a transparent and honest car buying and servicing experience; Our Best Price is clearly posted. Come experience a better way to buy your next car! Give us a call today to schedule a demonstration drive and get straight forward answers to your questions. Price includes: $500 - 2018 Retail Bonus Cash SWCJA1. Exp. 04/30/2019, $1,000 - 2018 Bonus Cash SWCJA. Exp. 04/30/2019, $500 - 2018 Chrysler Capital 2018 Bonus Cash **CJ5 (exclu. MW-NE-SE). Exp. 04/30/2019, $1,750 - 2018 Retail Consumer Cash 63CJ1. Exp. 04/30/2019 Price includes $790 of dealer added accessories. Brown Metallic 2018 Jeep Grand Cherokee Laredo RWD 8-Speed Automatic 3.6L V6 24V VVT19/26 City/Highway MPGHere at Steve Landers CDJR, we pride ourselves in a transparent and honest car buying and servicing experience; Our Best Price is clearly posted. Come experience a better way to buy your next car! Give us a call today to schedule a demonstration drive and get straight forward answers to your questions. Price includes: $500 - 2018 Retail Bonus Cash SWCJA1. Exp. 04/30/2019, $1,000 - 2018 Bonus Cash SWCJA. Exp. 04/30/2019, $500 - 2018 Chrysler Capital 2018 Bonus Cash **CJ5 (exclu. MW-NE-SE). Exp. 04/30/2019, $1,750 - 2018 Retail Consumer Cash 63CJ1. Exp. 04/30/2019 Price includes $790 of dealer added accessories. Steel Metallic 2019 Ram 1500 Big Horn/Lone Star 4WD 8-Speed Automatic HEMI 5.7L V8 Multi Displacement VVT ABS brakes, Compass, Electronic Stability Control, Heated door mirrors, Illuminated entry, Low tire pressure warning, Remote keyless entry, Traction control.Here at Steve Landers CDJR, we pride ourselves in a transparent and honest car buying and servicing experience; Our Best Price is clearly posted. Come experience a better way to buy your next car! Give us a call today to schedule a demonstration drive and get straight forward answers to your questions. Price includes: $500 - Southwest 2019 Retail Bonus Cash SWCKA1. Exp. 04/30/2019, $800 - National RAM LD Select Inventory Bonus Cash 40CKB. Exp. 04/30/2019, $500 - Chrysler Capital 2019 Bonus Cash **CK5 (CA,MA,SE,SW). Exp. 04/30/2019, $3,000 - 2019 Retail Consumer Cash 63CK1. Exp. 04/30/2019 Price includes $1,635 of dealer added accessories. Bright White Clearcoat 2018 Jeep Grand Cherokee Laredo RWD 8-Speed Automatic 3.6L V6 24V VVT19/26 City/Highway MPGHere at Steve Landers CDJR, we pride ourselves in a transparent and honest car buying and servicing experience; Our Best Price is clearly posted. Come experience a better way to buy your next car! Give us a call today to schedule a demonstration drive and get straight forward answers to your questions. Price includes: $500 - 2018 Retail Bonus Cash SWCJA1. Exp. 04/30/2019, $1,000 - 2018 Bonus Cash SWCJA. Exp. 04/30/2019, $500 - 2018 Chrysler Capital 2018 Bonus Cash **CJ5 (exclu. MW-NE-SE). Exp. 04/30/2019, $1,750 - 2018 Retail Consumer Cash 63CJ1. Exp. 04/30/2019 Price includes $650 of dealer added accessories. Diamond Black 2019 Ram 1500 Big Horn/Lone Star 4WD 8-Speed Automatic HEMI 5.7L V8 Multi Displacement VVT ABS brakes, Compass, Electronic Stability Control, Heated door mirrors, Illuminated entry, Low tire pressure warning, Remote keyless entry, Traction control.Here at Steve Landers CDJR, we pride ourselves in a transparent and honest car buying and servicing experience; Our Best Price is clearly posted. Come experience a better way to buy your next car! Give us a call today to schedule a demonstration drive and get straight forward answers to your questions. Price includes: $500 - Southwest 2019 Retail Bonus Cash SWCKA1. Exp. 04/30/2019, $800 - National RAM LD Select Inventory Bonus Cash 40CKB. Exp. 04/30/2019, $500 - Chrysler Capital 2019 Bonus Cash **CK5 (CA,MA,SE,SW). Exp. 04/30/2019, $3,000 - 2019 Retail Consumer Cash 63CK1. Exp. 04/30/2019 Price includes $1,635 of dealer added accessories. Velvet 2018 Jeep Grand Cherokee Laredo RWD 8-Speed Automatic 3.6L V6 24V VVT19/26 City/Highway MPGHere at Steve Landers CDJR, we pride ourselves in a transparent and honest car buying and servicing experience; Our Best Price is clearly posted. Come experience a better way to buy your next car! Give us a call today to schedule a demonstration drive and get straight forward answers to your questions. Price includes: $500 - 2018 Retail Bonus Cash SWCJA1. Exp. 04/30/2019, $1,000 - 2018 Bonus Cash SWCJA. Exp. 04/30/2019, $500 - 2018 Chrysler Capital 2018 Bonus Cash **CJ5 (exclu. MW-NE-SE). Exp. 04/30/2019, $1,750 - 2018 Retail Consumer Cash 63CJ1. Exp. 04/30/2019 Price includes $872 of dealer added accessories. Billet Silver Metallic 2018 Jeep Grand Cherokee Laredo RWD 8-Speed Automatic 3.6L V6 24V VVT19/26 City/Highway MPGHere at Steve Landers CDJR, we pride ourselves in a transparent and honest car buying and servicing experience; Our Best Price is clearly posted. Come experience a better way to buy your next car! Give us a call today to schedule a demonstration drive and get straight forward answers to your questions. Price includes: $500 - 2018 Retail Bonus Cash SWCJA1. Exp. 04/30/2019, $1,000 - 2018 Bonus Cash SWCJA. Exp. 04/30/2019, $500 - 2018 Chrysler Capital 2018 Bonus Cash **CJ5 (exclu. MW-NE-SE). Exp. 04/30/2019, $1,750 - 2018 Retail Consumer Cash 63CJ1. Exp. 04/30/2019 Price includes $1,354 of dealer added accessories.